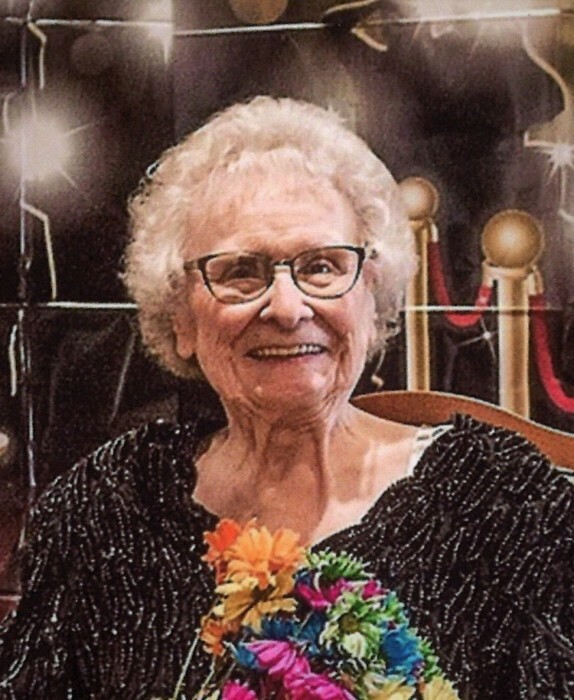 Mary Ronevich, 92, of Dillonvale, OH, passed away Saturday, April 13, 2019 in the Gables Care Center in Hopedale, OH. Mary was born April 9, 1927 in Harpersville, OH, daughter of the late Edna Stark Nameth and Walter Nameth. She retired from St. John Hospital in Steubenville, OH and was Catholic by faith. In addition to her parents, Mary was preceded in death by her husband, Stanley Ronevich, Jr. and her son Marion Ronevich. She is survived by her son, Dr. Robert and his wife Nancy Ronevich, a daughter-in-law, Sandy Ronevich, 6 grandchildren and 8 great-grandchildren and 1 great-great-grandchild. She is also survived by her brother, Mike Nameth, sister-in-law, Phyllis Nameth, and sister Helen Angel. Family and friends will be received Thursday, April 18 from 11 am til the time of her funeral service at 1 pm at the J.E. Foster Funeral Home in Smithfield, OH. Rev. Tim Snodgrass will officiate and a private burial will follow in Holly Memorial Gardens. Memorial donations may be directed to: Gables Care Center 350 Lahm Dr. Hopedale, OH 43976.